On my own behalf and that of my party the RPP, I condemn the terrorists attack on the Garrisa University in North East Kenya. I wish to extend our deepest sympathies to the Kenyan President, Mr. Uhuru Kenyatta, his government, the people of Kenya, the relatives of the victims and those injured in this barbaric attack. On the 02/04/15, the world witnessed another terrible terrorist outrage. Gunmen from the Al-Shabab terrorist organization attacked a University in Kenya. As innocent young people were learning a group of murderers entered the University and started indiscriminately shooting students and academic staff. Many of the students were killed as they prepared for their exams and some students were held hostage by the terrorists. 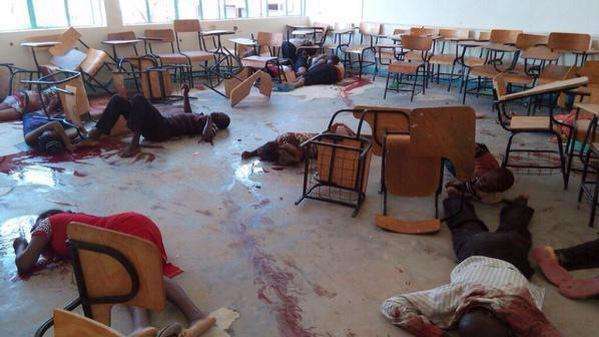 The Al-Shabab gunmen shot every innocent person whom they encountered. The official death toll is 148, excluding four dead terrorists and the dead include 142 students, three university guards and three policemen. Al-Shabab gunmen have launched repeated attacks on Kenyan civilian targets. Since 2011 there have been over a dozen terrorist attacks that have left hundreds of Kenyans and foreigners dead and many more injured. Among the worst atrocities perpetrated by the militants was the attack on the Westgate Shopping Centre in Nairobi that left 69 people dead in 2013. Another attack on a Kenyan costal town left 48 dead in June 2014. Shortly after, Al-Shabab terrorists massacred some 28 travelers on a bus to Nairobi. In December 2014 some 36 quarry workers were massacred near the town of Madera in Northern Kenya. The RPP condemns these outrages and our thoughts are with the victims and their families. These cowardly attacks by Al-Shabab are their response to the Kenyan governments support for the internationally recognized Somali government. In 2011 the Kenyan army at the request of the Somali government launched a terrorist operation along with the Somali army in Southern Somalia that targeted Al-Shabab. Since then Al-Shabab terrorists have killed innocent Kenyan men, women and children, both Christian and Muslim in retaliation. The Rwanda People’s party condemns the attack on the Garrissa University and all the previous Al-Shabab attacks on the country. We pledge our support to the Kenyan government and its people at this trying time. The RPP urges members of the international community, especially African nations to support and aid the Kenyan people in any way they can. We call upon the Al-Shabab, to end their senseless barbaric slaughter of innocent, so that they can engage in a democratic peace process and so can join their brothers and sisters in building a new Somalia. I am asking you to look into the pleading eyes, of all those Somalis yearning for peace. Think of the tears, and sorrows of your grandfathers, grandmothers, parents, sisters and brothers, your daughters and sons in refugee camps and of those who are scattered all over the world because of the decades of war in their country, who are all calling for peace in their homeland, in order to end their years of misery and homelessness as a result of the endless wars. The Somali people only want the same as every other people in the world. They only want to raise their families in peace and have a normal life. The many exiled Somalis want to return to their homes and country to rebuild their shattered lives, in order to live as other people all over the world. If any people deserve peace, security and some hope it is the Somali people. It is the responsibility of everyone to help them achieve this and it is particularly the duty of Al-Shabab to end their people’s misery and tragedy. They must stop this mindless violence and join with other fair minded people to end the suffering of the Somali people. Only Al-Shabab has the keys to end the years of weeping, misery and tragedy in Somalia. It must end its campaign and this will mean an end to the catastrophic wars in their country Somalia. May God bless Kenya and the Kenyan People.